CMM stands firm in support of constitutionally limited federal Republic of sovereign States as envisioned by our Founding Fathers. CMM firmly supports unalienable Rights of We the People, including Rights of Life, Liberty & Property & Right to resist tyranny & usurpation of constitutionally delegated powers as enumerated in the Declaration of Independence, equal opportunity for all & special privilege for none. CMM is a responsible community devoted to revitalization of the militia of Mississippi & restoration of our Republic. CMM is dedicated to providing a voice & learning source for the modern citizen soldier. Our topics center on quality educational, historical & theoretical issues on the subjects of American & Mississippi Constitution, militia organization, training along with legal & political aspects of the militia movement. The Patriot / Militia movement has taken some heat with respect to public opinion, as many well funded liberal-progressive legal organizations seek to label the Militia as a “Hate Group“, we deny this. CMM is the furthest thing from a hate group, we strive to maintain a positive image of the militiaman. CMM is not an Anti-Government site - The philosophy of CMM is straightforward: strict constitutionalism, non interventionism in foreign affairs, capitalism, individual rights, limited government, republicanism; in short, principles upon which our nation is founded. Our goal is to see government restored to its original constitutional form. CMM opposes: statism, liberalism, tribalism, socialism, collectivism, internationalism, democracy (mob rule by the majority over the minority), Corruption in government, Socialism, Fascism, Communism, altruism, pull politics, and New World Order; in short, the philosophies of all tyrannies. In July of 1987, I remember standing in a room full of my fellow cohorts, all of us were equal parts of nervous & thrilled for what we were about to experience. We all raised our right hand, and swore an oath to protect & defend the Constitution of the United States from enemies, both foreign & domestic. The shining look of grim determination on all our faces is a memory I will never forget. We spoke amongst ourselves and realized ideas such as honor and patriotism (which in today’s world is considered “un-fashionable”) was not only alive and well in that very room, we vowed to carry the torch of Liberty into the future. Throughout my 12 years of military service, I decided it was time for me to leave my military career for greater horizons . Not for a changing of my priorities mind you, but it became more and more difficult to support the political leaders who directed the military. As I reflected on my oath of honor, the old adage became apparent to me; ”you can take the man out of the Army, but you can’t take the Army out of the man”. Fast forward to 2013, it has gone from difficult to impossible for me to offer my support to today’s political “leadership”…The America that I love & vowed to protect is swiftly fading into oblivion. The Second Amendment to the United States Constitution guarantee’s “We The People” have not only the Right to keep and bear arms, but more importantly, the obligation. The ugly reality is, our elected officials have been continually voting against the will of the people, while blatantly usurping the power away from America’s founding values. Our Founding Fathers endowed ‘we the people’ with the specific responsibility of safeguarding the rights and freedoms guaranteed to us by the Constitution. As the current occupier of our White House travels the world bowing to world leaders while declaring “America is no longer a Christian Nation”, Obama (and his fellow political hacks) are running roughshod over our Constitution and steadily tearing down the foundations of our way of life that gave America her greatness. “We The People” seem to have forgotten (and have taken for granted) something extremely important. Whether or not our friends and family agree, Americans are on the verge of losing something very precious, our liberties. Considering the laundry list of treasonous acts perpetrated by the US government & the deafening silent response of the collective population is why I have chosen to exercise my Constitutional rights as an American citizen & form the Citizens Militia of Mississippi (CMM respectively). Citizens Militia of Mississippi believe we have a duty and the moral obligation to uphold the same oath service members swear to. We owe the same allegiance to our children, families, communities AND to America. The time has come for Americans to stand up and remind our elected political officials SERVE THE PEOPLE, not the other way around. We must unite & rise up for the freedoms and rights our Constitution have bestowed upon us. We will no longer be silent to the tyranny destroying our great nation. Knowing full well, groups such as Citizens Militia of Mississippi are being monitored by the wide spectrum of liberal funded legal organizations (you know who you are), I say this: The American people will NEVER SUBMIT TO TYRANNY. Republican and Democratic politicians who vote against their constituents for their own personal agenda$ should sit up and take note. Americans, in general, are both compassionate and peaceful peoples. However, when we are expected to go along with legislative decisions, made on our own behalf by those we elect, which purposely run contrary to our beliefs, push us beyond a logical and civilized breaking point, our wrath is swift & formidable. The American People will no longer be silent. Why? Because America was founded By the People and For The People. We will not stand idly by and watch elected officials shred our God given rights piece by piece. 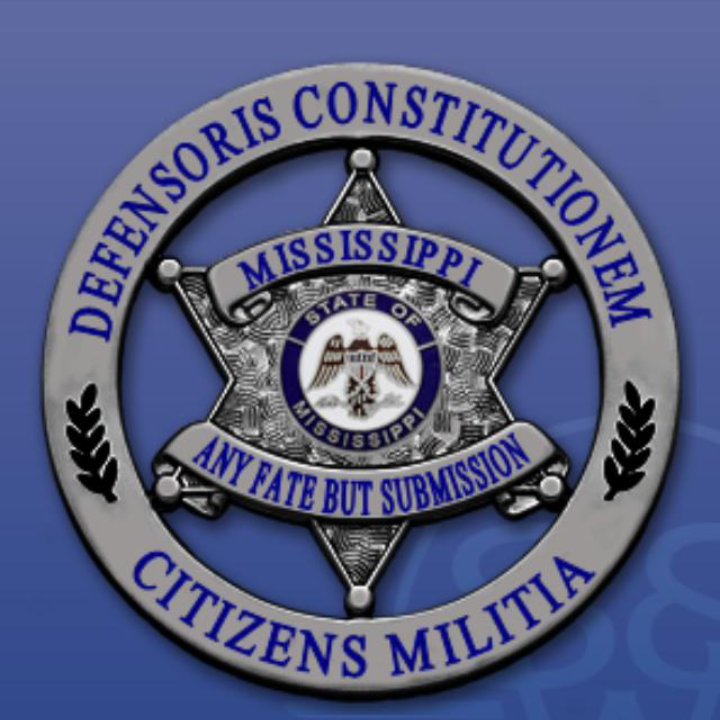 WELCOME to Citizens Militia of Mississippi ( CMM respectively). We're excited to finally bring our message online so we can better serve citizens of Mississippi, and interact with likeminded people throughout this great land. CMM wishes nothing but freedom for all, as our founders intended. Today a cloud hangs over Mississippi and America hiding the light of truth from all who seek it. Evil is sold for good and right is labeled wrong. TRUTH IS THE NEW HATE SPEECH! At every turn, the very fabric of who we are as Americans is being torn to shreds before our very eyes and in our own backyards. While many are fed up, few know what can be done to protect themselves from the relentless onslaught of misinformation and daily erosions of personal Liberty. Here at CMM, we've drawn our line in the sand. Stand with us today, and help keep Mississippi, and our Constitution alive for future generations. CMM is NOT a rogue organization. We are fully committed to work in complete cooperation with local authorities. We are NOT a hate group, nor are we anti government. We believe in FREEDOM! We believe in limited government, just as our founders intended! We believe in MISSISSIPPI! 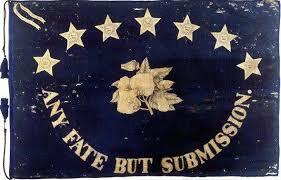 It is our intent to prepare ourselves to defend the Constitution against all enemies forign and domestic. We work with, not against local and state law enforcement. To do just that, we will use all legal means at our disposal to insure the safety and integrity of our communities. If you're tired of complaining about the state of our country and you're ready to work with your neighbors to make a difference, then here is your chance! Join CMM today and help keep MISSISSIPPI free and safe for future generations.